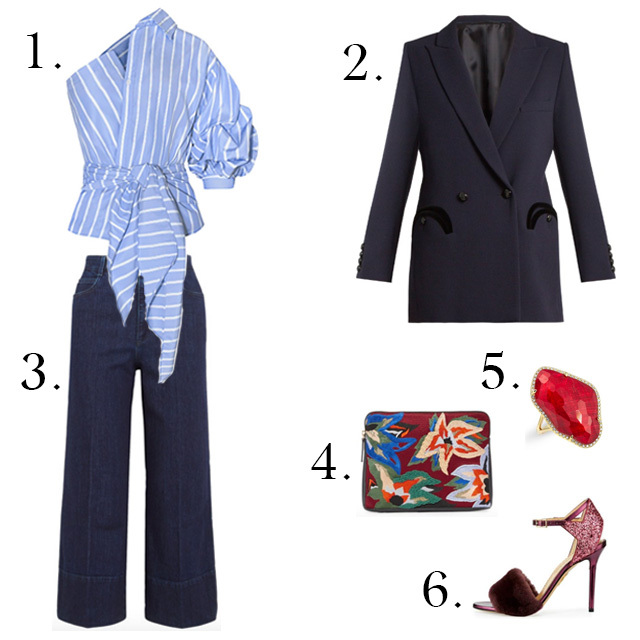 These pinstripes might not work at the office but they'd work wonders at a dinner party! 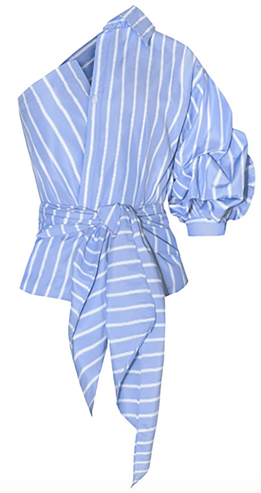 Bought the striped off the shoulder blouse from Pixie Market per your suggestion and wore it yesterday while running around town. NO JOKE...could not walk into one store without someone commenting on the shirt and where to get it. From the bank teller to the waitress at lunch and all errands in between it was a HUGE hit. Thank you, always, for pointing out cool, stylish clothing--I LOVE your blog!